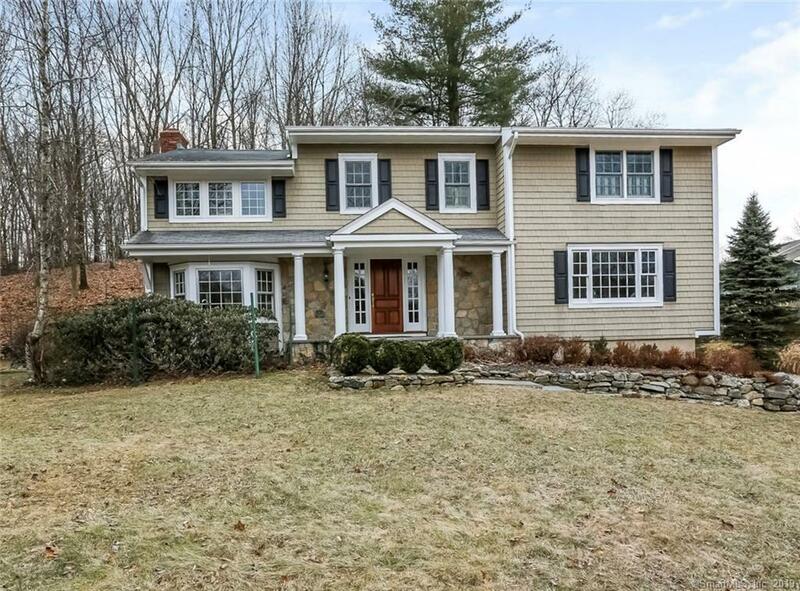 Beautifully updated colonial with deeded rights to desirable Pleasantview Estates. With over $300K in recent improvements, all you have to do is move in, relax and enjoy! From the elegant columned front porch to the expanded kitchen to all the renovated baths and so much more, no detail was too small with this exciting renovation. The chefs kitchen is a delight with marble counter tops, stainless steel appliances, new cabinets, built in hutch and radiant floor heat. The entertainment flow is perfect from the large separate breakfast nook to the gracious family room with its welcoming fireplace. Attached is a bright open sun room with sliders to the deck, ceiling fan and new windows. The master bedroom has his and hers walk in closets and full bath with radiant floor heat, soaking tub and separate vanities with marble counter tops. With its freshly painted interior, recessed lighting, crown moldings, an internal speaker system, new mechanicals, new windows and new siding, the work is done! Truly a special home - one you don't want to miss.